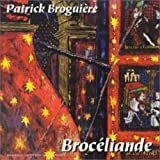 This is the latest Patrick Broguiere album, sent to me by the artist as a reward for reviewing glowingly his previous Mont St-Michel, a thoroughly satisfying recording that I find unimaginable to surpass. Upon first glance, the packaging is again absolutely dazzling (Herve Thibon's paintings rule! ), gorgeous artwork, booklet and cover. Patrick handles all the usual instruments including viol da gamba and crumhorns. Pierre-Yves Theurillat guests on vocals, he from now defunct Swiss band Galaad. His preceding albums have been influenced by the Arthurian legends (Broceliande), the museum (Icones) and a World Heritage site (Mont St-Michel), so it's fitting that he now tackles another French national treasure the famous Loire castles, magnificent Renaissance "chateaux" that lie near the Loire River in Western France. Some are world famous such as Chateau de Chambord, Chateau d'Amboise and Chateau de Chenonceaux. Others lesser known like Blois, Azay and Montsoreau . These magnificent palaces were erected during the XV and XVI centuries and were historically crucial in the various conspiracies that heralded the political upheavals which would continue until and beyond the Revolution Francaise. The music is as stunning as on Mont St-Michel, another exhilarating sonic exercise than incorporates medieval sounds (such as the exquisite harpsichord on "La Conjuration d'Amboise") and colossal collisions between crumhorns dueling with frenetic lead guitars within the framework of traditional dance music styles such as the solemn pavane , the pulsating galliard and the swifter saltarelle . Some Oldfieldian perfume wafts through the grooves with refreshing splendor, giving this a modern veneer that is quite exhilarating. Tortuous, semi-operatic vocals are introduced on "the Ballad of Scarface" to great effect, giving this track a hint of that other amazing French prog-folk artist, Motis. The story recalls the assassination of the Duc de Guise at chateau de Blois, one the more somber chapters of French history, by order of the king Henri III. "Chambord" on the other hand, is pompous, grandiose and majestic, just like the imposing castle that attracts tourists from the world over. Orchestrated to great effect, the neo- classical structure is very appealing and the music architecturally exact. "A Celebration at Chenonceau" is a playful stroll between the glory and splendor of this magnificent edifice and its extensive waterworks, the flute being the undivided chaperone. 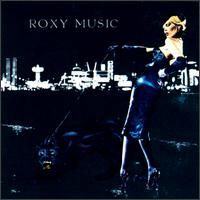 When the organ enters the fray, the mood becomes more ostentatious but is just a stepping stone for the dazzling lead guitar dance that ends the song. 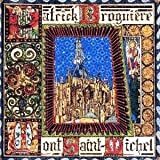 The final 2 part "The Gardens of Villandry" summarize this disc with its trademark build-up, percussive carpets with string-synths, swirling rhythmic identities showcased by strong playing, evocative mindscapes for the medieval prog fan to drool over. This musical promenade is on par with the previous masterpiece, almost a second volume, if you like, a complete package for the progressive connoisseur. Escapism of the very highest order, a bold historical revisit of France's glorious past, kept alive by its numerous cultural jewels. Perhaps more so than ever before, fans of classic Gryphon would be thrilled to death at the thought of listening (or dancing) to this marvel! I just love this style of music, so I am biased ?.. 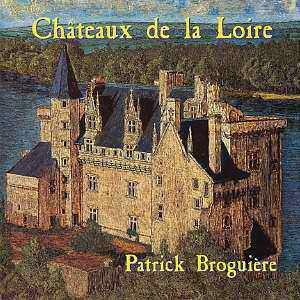 Post a review of PATRICK BROGUIERE "Châteaux de la Loire"